Yeah. It’s corny, but I’m leaving the caboose photo till the end. And that’s not me there – and I don’t know who the woman is. Honest. 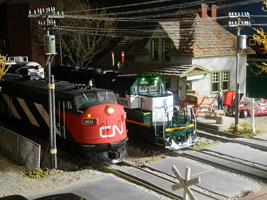 The museum has made up a couple of short trains that are completely accessible just outside the back door. I say ‘back door’ but it’s really the entrance to a well-kept BBQ and picnic spot as well as a convenient, shady viewing area right next to CP’s main line. 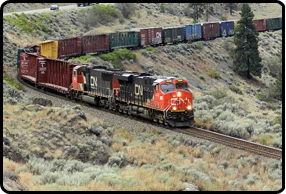 I sat in the shelter for about a half hour and watched another eastbound stack train glide by and there was a third coming toward me as I crossed the Columbia River and headed south. Lots of Wal-Mart action is routine. The whole scene is an easy modelling idea. 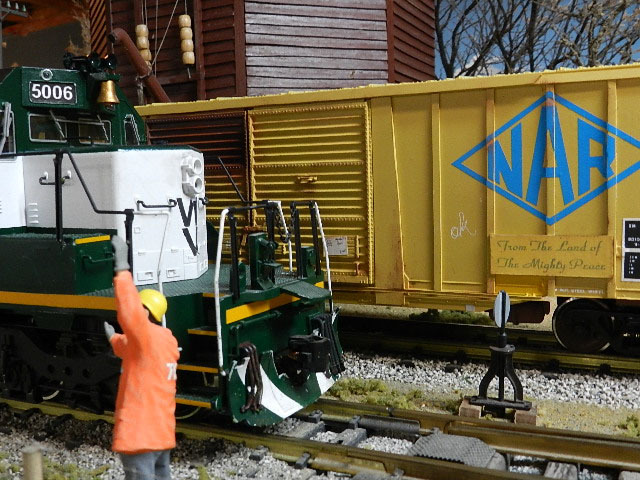 Install spur with an unballasted turnout on your track, a small gazebo and one of your favourate old trains. 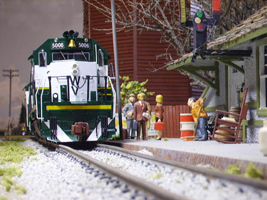 It’s a good place to still show off your small steam engines as you up date to 4-8-4’s or diesels. 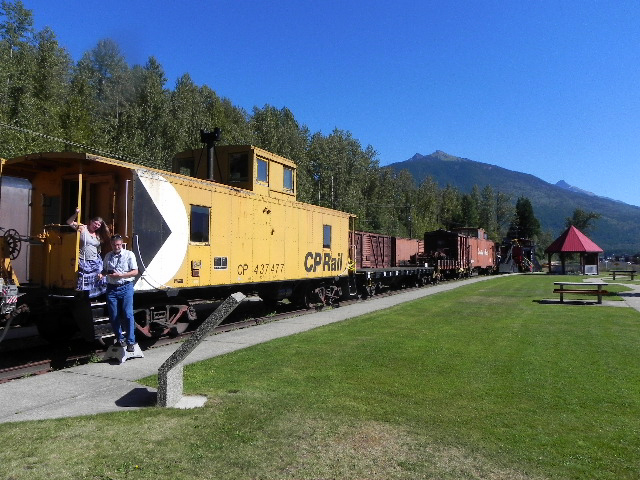 Visitors have complete access to caboose 437477. It’s a little beat up inside but it’s all there. Then again, perhaps my idea of ‘beat up’ is fair wear and tear in CP’s world. A homeless person might call it luxurious. I didn’t show you any of the pictures I took on the inside the museum but they didn’t seem to fit my self made criteria for the Proto-File. Maybe another day though because there’s a lot to see and learn. 5468 is there and she looks fine. 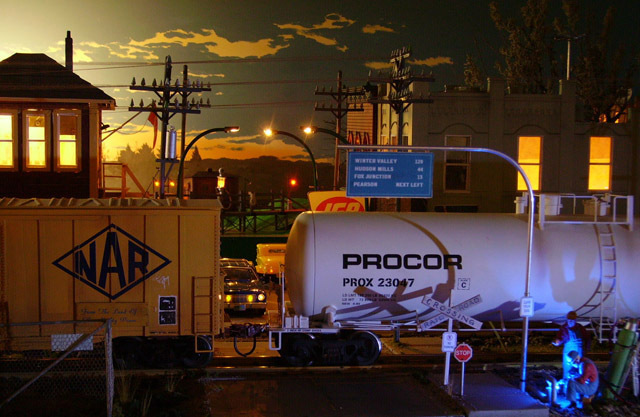 It seems as though the local model railway group is a part of the show. A large rectangular layout is under construction upstairs and it looks very professional with beautiful wooden trestles and room for rugged canyons and deep forests. I’ll go back in June and see what they’ve done over the winter.